Ozzy is a true living legend and the godfather of heavy metal music having sold over 30 million albums in the US alone. All of the excitement brewing this year with the release of his tell all book, talks of a new studio album, and resurrection of Ozzfest; I thought it only proper to highlight the incredible highly decorated career of such a gifted musical talent. 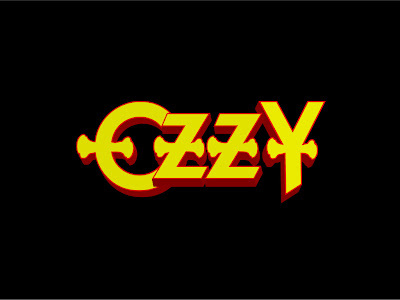 I grew up with Ozzy, he introduced me to lots of things good and bad, and in a sense shaped my teenage years to make me the person I am today. (insert punchline). With that being said, here is my personal retrospective of one of the most lucrative figures in rock n roll history. The first solo album and his biggest US seller to date is also the introduction of the late great Randy Rhoads. 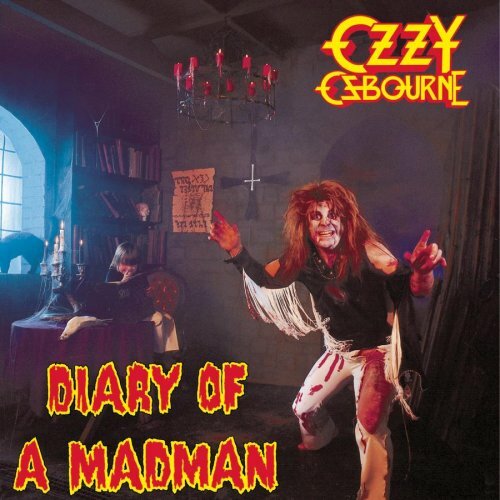 Features the classics; “Crazy Train”, “Suicide Solution”, and “Mr. Crowley”. This is essential for any fan. Fondest Teenage Memory of 1980: – My parents throwing away my Black Sabbath records and claiming that demons flew from the trash cans immediately after. The last album with Randy Rhoads before his untimely death in 1982 features the classic “Flying High Again”. 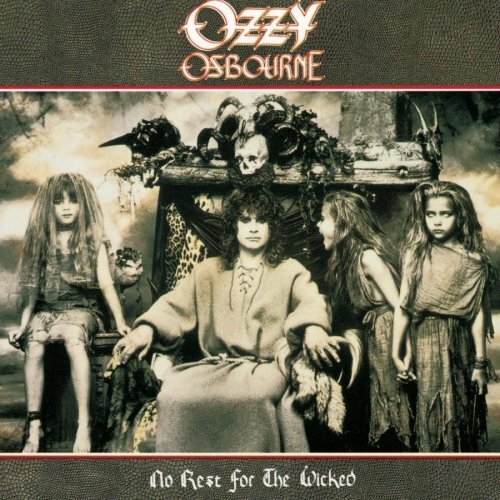 Fondest Teenage Memory of 1981: Winning a bet with a friend by unanimous decision that Ozzy could be up satan himself with one hand tied behind his back. Former Ratt guitarist Jake E. Lee joins and we see the introduction of the synthesizer in metal. 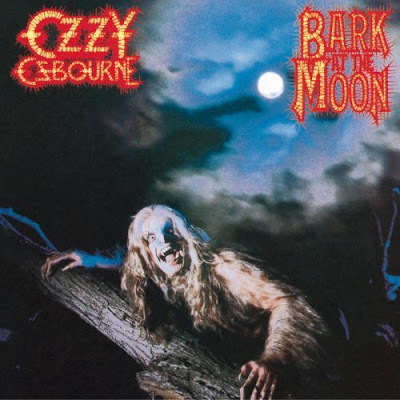 Features the classic: “Bark at the Moon”. Fondest Teenage Memory of 1983 – As if Ozzy did not already haunt my dreams, now with the Werewolf costume I need therapy. Hair metal is at its peak and Ozzy briefly jumps on the bandwagon to deliver the hit “Shot in the Dark” which becomes a staple on MTV. Fondest Teenage Memory 0f 1986 – My second concert ever. Standing on top of a chair throwing what I thought was the devil horns but turned out to be the universal hand gesture for hang loose. This is where it gets good, the introduction of Zakk Wylde and the signature guitar sound that would define Ozzy for the next decade plus. An absolute masterpiece, here we see Zakk Wylde contributing to the songwriting as well as handling the guitar duties. We also see the introduction of Mike Inez on bass, who would later join Alice in Chains. Motorhead’s Lemmy also wrote four songs on the album. And what kind of a guide would this be without mentioning the landmark live albums? 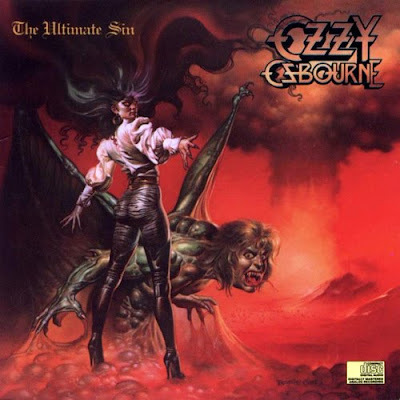 One of the coolest album covers ever; I always though Ozzy was eating grape jelly with his mouth open. This live concert features only Black Sabbath covers. It was recorded at The Ritz in New York in September of 1982. 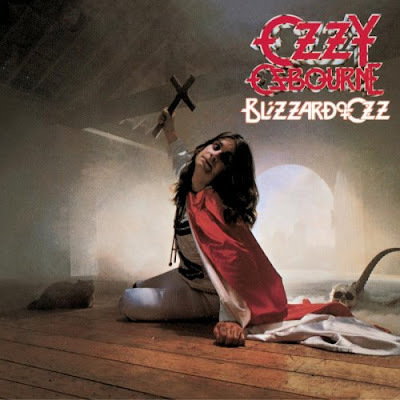 Although it was intended to be a document of Ozzy’s solo live material, it was changed in order to retort Sabbath’s current Live Evil with Ozzy’s replacement Ronnie James Dio. Besides all the trivia, it’s a fantastic must have live album for any fan; be it Sabbath or Ozzy. Released in memory of Randy Rhoads who died in a plane crash 5 years earlier. Originally slated to be released in 1982, the album was shelved due to Rhoads untimely death. Speak of the Devil would take its place instead. Another essential and the soundtrack to my rebellious adolescent beginning until I would later be shown the error of my ways through the introduction of The Black Crowes and homegrown. Your comments are welcom below, and long live the F**king Prince of Darkness!